Wow, I am definitely getting distracted with other projects and happenings! Here’s one of the last 2 posts from the Cowgirl Birthday Party series. 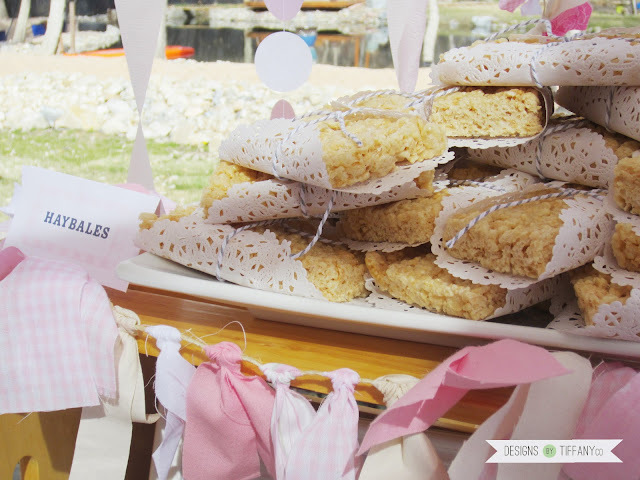 This tutorial is a cute, easy way to decorate food, and in this case, the Rice Krispie Treat Haybales from the party. 1. Lay your string out and lay on top a paper doily, reverse side, so the side you want to see is on the outside. 2. Put a Rice Krispie Treat in the middle. 3. Pull the string and tie in a knot. Cut string. And there you have a beautiful display for your food table.